You are here: Home / Drink / Bring on Berlin! 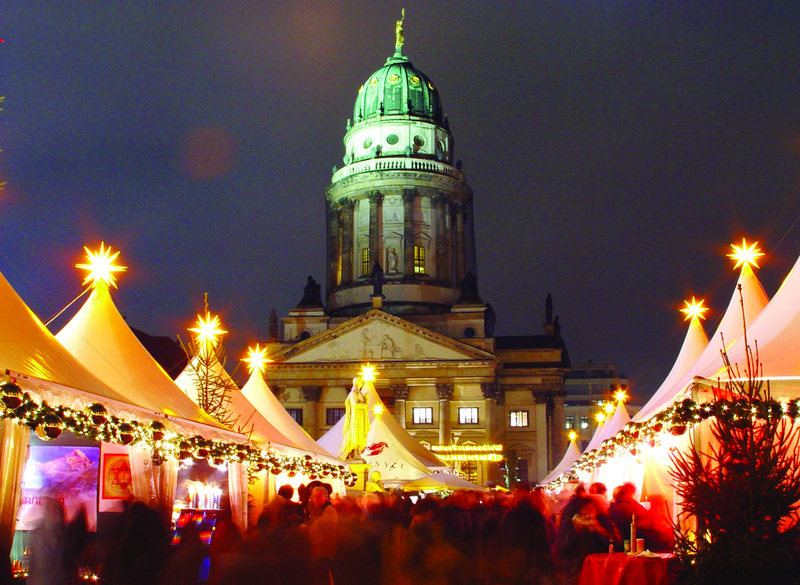 An exclusive luxury package in Berlin puts you in the driver’s seat. 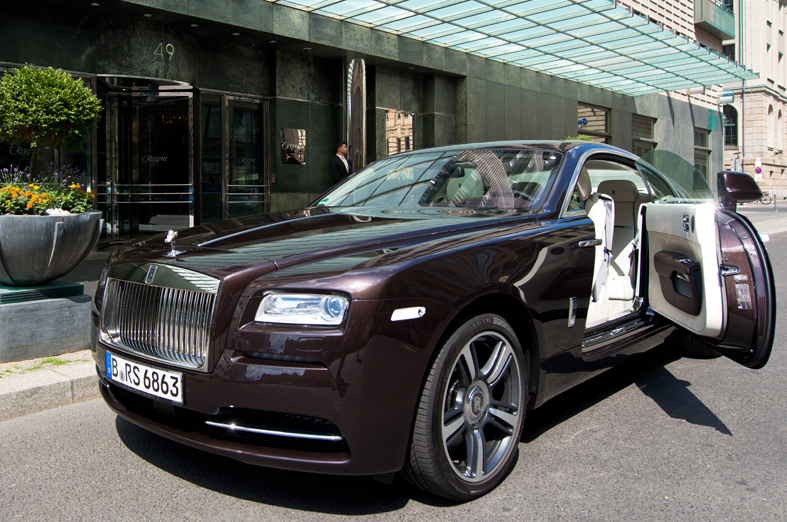 If you want to experience Berlin in style, taking in the tradition and culture of the city, then check out this extravagant package from the five-star Regent Berlin, Rolls-Royce Motor Cars Berlin and fine-china manufacturer Berlin KPM. This is opulence at its best! First off, you’ll enjoy a two-night stay in an elegant premier suite at Regent Berlin. With 1,183 square feet of space, you’ll be able to truly stretch out and relax in the separate bedroom and living room areas. The bedroom is equipped with a walk-in-closet and plush bed, plus a master marble bathroom with powder room, deep soaking bathtub, separate walk-in shower and flat-screen TV. Meanwhile, the living room features impeccable interior design, with furniture related to the classical Biedermeier style; an open fireplace; and a dining table that seats six to eight people. The 195-room hotel is situated at the Gendarmenmarkt with gorgeous views of the Französischen Dom (French Cathedral) and the concert house. The boulevard Unter den Linden, the Brandenburg Gate and the popular Friedrichstraße (with its exclusive boutiques) are all within short walking distance. The package also includes à la carte breakfast (served in suite if preferred) and a six-course candlelit dinner and drinks at the Michelin-starred restaurant, Fischers Fritz, which is known for its eclectic dishes drawn from the land and sea. The real kicker though, is that you’ll also enjoy the use of a Rolls-Royce Ghost with personal driver or the Rolls-Royce Wraith to drive yourself for two days, with a fuel allowance of 187 miles. This is when you’ll experience firsthand Rolls-Royce’s outstanding driving dynamics. Also as part of the package, you’ll receive a generously filled picnic basket with Kurland china coffee cups from the famed royal porcelain manufacturer Berlin KPM, a bottle of Champagne upon arrival and complimentary access to the Regent Health Club (featuring state-of-the-art exercise equipment, separate women’s and men’s sauna facilities, and massages and beauty treatments). 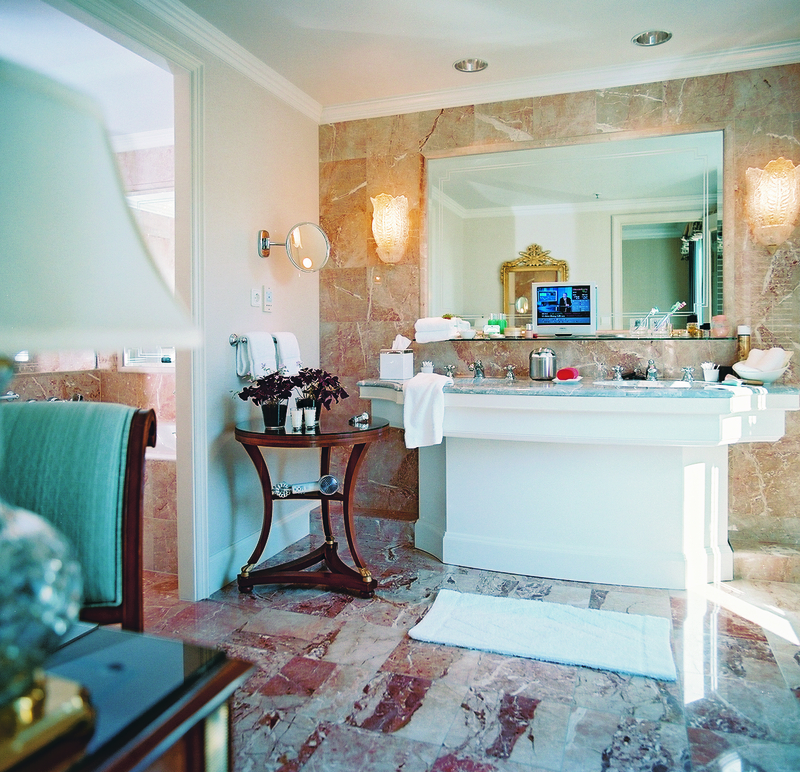 And of course, you’ll experience exceptional personal service at every turn. The package starts at $6,632, based on double occupancy, and is available through December 29. Complimentary early check-in and late check-out is available upon request at the time of booking. Call reservations at +49 30 20 33 6666 to book. Pure Luxury! I’ll have to save up for this, but it sounds worthy! Thanks for sharing!